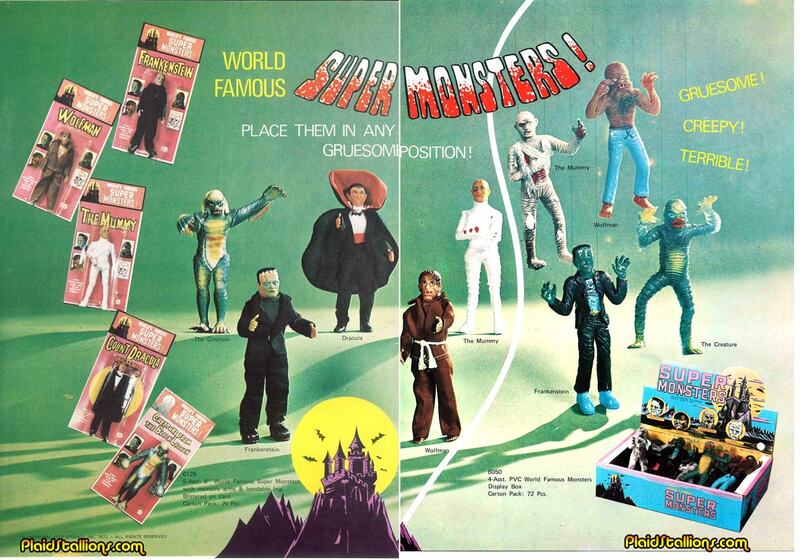 There is SO much to look at in this wonderful image, firstly we have the prototype of the AHI Creature from the Black Lagoon Figure and the early Dracula Packaging, which shows him being marketed as a seperate figure. I've conjectured in the past this is due to the then ongoing legal battles Universal was having with the Lugosi estate and I've yet to find a better theory. Then we have the overleaf which is a wonderful display of the Jigglers, which AHI refers to in all sales materials as "PVC Wiggleys" I stand corrected, I guess Jiggler is copyrighted.